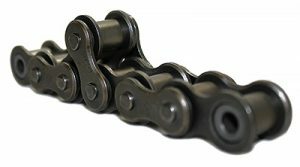 The Diamond Chain Company, headquartered in Indianapolis, Indiana, is the leading global manufacturer exclusively focused on the advanced design, manufacture, and sales of high-performance roller chain systems and attachments for global original equipment manufacturers, industrial production markets, and the power transmission aftermarket. Founded on December 24, 1890, the Diamond Chain Company is one of the most experienced roller chain manufacturers in the world. Driven by the principles of unrivaled experience, unsurpassed quality, and unparalleled performance – the diamond was adopted as the company trademark as it symbolized perfection and acts as a constant reminder of the company’s core values. Today, the Diamond Chain Company sets the standard for high-performance roller chain with industry leading wear life, warranty, and product selection. From industry launch to industry leader, Diamond Chain is the most trusted roller chain when performance matters the most. Diamond Chain manufactures roller chain from the highest-quality materials, carefully designing, fabricating, and assembling each component so that the finished product exceeds both industry standards and customer expectations. A quality chain is a long-lasting chain, and with more than a century of experience, Diamond Chain knows how to build products that last. From the oil rigs of Texas to the drag bike racing circuit, Diamond’s performance is unrivaled. In even the most difficult applications, Diamond Chain outperforms the competition. For tough chain that delivers, nothing outlasts a Diamond. When you choose Diamond Chain, you’ll see production increase and downtime decrease—factors critical to success in any industry. Whether you need a standard roller chain or a custom-designed product, Diamond Chain delivers the highest quality, best performance, and ultimate value. Diamond Chain’s extensive ASME / ANSI product assortment provides industry leading wear life and is available in a variety of base materials, finishes, and lubrications. Diamond Chain’s maintenance-free product portfolio is expanding with the introduction of a new Duralube(R) series – Duralube LIVE, now available with both food grade, and standard grade lubrications. Diamond’s Ring Leader O-Ring chains are designed for applications in which regular lubrication is not possible. O-Ring Series Chains are constructed with rings that seal Diamond Chain’s proprietary lubricant in and keeps contaminants out.